Winter 2007-2008 Forecast Compared to What Was Observed. Although the forecast and observed maps use a different color system, a direct comparison can be made between the two. 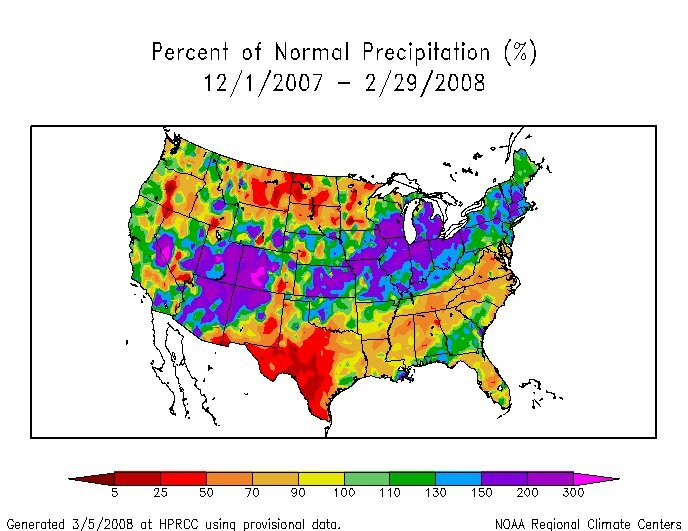 For example the region stretching from Texas to New England and down through the southeastern U.S, had a warmer than normal winter which was what was forecast. 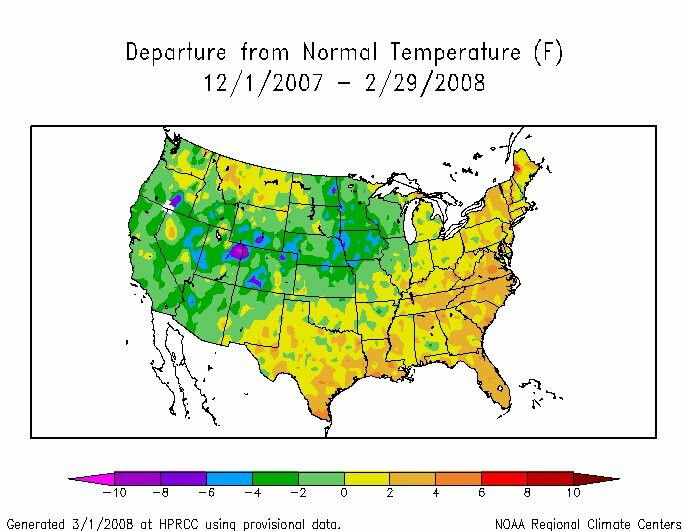 However, the region extending from Minnesota through Nebraska down to Arizona had a colder than normal winter despite the forecast of warmer than normal.